Dr. Tsvi Lidar name is widely known not only in Israel, but also far beyond. This is a unique expert in his field, who was able to give life to countless adults and still very young patients. Zvi Lidar specializes in conducting complex operations on the spine and spinal cord. After receiving basic medical education, an ambitious young doctor rushed to conquer new heights and improve their skills. Even today, when he was an experienced specialist and professor Zvi Lidar continues to look for new methods of spinal surgery, and actively uses in his medical practice, recent medical developments that could improve the quality of treatment and maximize the probability of a successful resolution of the problem. One of the innovations of it is a so-called sparing surgery, which allows, while minimizing treatment time and rehabilitation to achieve maximum results. He participated in the biomechanics of the spine implants trials . 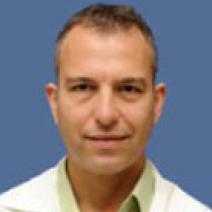 A A leading neurosurgeon " Herzliya Medical Center ". The American Association of Neurological Surgeons AANS;. The Israeli Association of spine surgery;. He is the author of numerous publications in medical periodicals.